PASADENA, Calif., Oct 03, 2011 (BUSINESS WIRE) -- When Italian disc jockey Paolo Campana travels, it's no surprise he listens to a lot of music. But how he does it turns the heads of other travelers he encounters. Unlike most of them, he doesn't plug into an iPod with 40,000 songs ready for instant playback. Instead he fishes out a 12-inch vinyl record from a large case, drops it onto a battery-operated turntable, lifts the arm over the record and sets the needle down on a track. This is all too much trouble for most music fans used to the ease of digital media players. But for Paolo the difference between the sound of vinyl and that of mp3s is like the difference between eating a meal at a five-star restaurant versus fast food. "The sound is so much warmer and more satisfying," he states with conviction. "It's the 'slow food' of the music experience." Paolo is not alone. The Vinyl market has been one of the few bright spots in the music industry in recent years. From 2006 to 2010, vinyl record sales rose over 300% and are still rising. Surprisingly it is young people who have grown up with digital entertainment who are leading this trend. Writer Owen McCafferty is at work on a book explaining why. "Our generation has grown up in an entirely digital atmosphere. Music for most young people was always so detached and intangible. Vinyl satisfies that void of being so disconnected physically." Owen describes this as the "digital devolution." Paolo's own obsession with vinyl records prompted his 75-minute film, Vinylmania: When Life Runs at 33 RPMs. Set in 11 different cities worldwide and filled with fascinating characters, the film documents a global road trip exploring the role of vinyl records in the 21st century. The film airs on European TV later this year, but Paolo has launched a Kickstarter campaign to raise funds to distribute the film to a broader audience on DVD. "Devotion, ecstasy, infatuation, agony--all the feelings I experienced from childhood, come out through the characters in this film," says Paolo. The film features some key "vinylmaniacs." Among the more well known are Klaus Flouride, bassist for the Dead Kennedys, and Winston Smith, artist for some of the Green Day and Dead Kennedys albums. "KUR-NU-GI-A", the first demo by legendary Swedish death metal band EDGE OF SANITY fronted by Dan Swanö has now been made available as a 12-inch picture-disc vinyl via Black Mark. "This demo showcases the original sound of EDGE OF SANITY. During this period we still listened to a lot of progressive and challenging metal of all kinds and I still believe the songs have their true version on this demo. "I transferred the original 4-track cassette masters using state-of-the-art digital technology, and remixed them and finally gave them the sound I dreamt of giving them 21 years ago. The dream of finally having this classic recording released on 12" picture disc has come true." 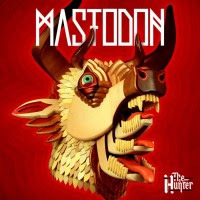 Mastodon are set to release Hunter on vinyl as both a single LP and deluxe double LP. The deluxe double LP will be 45 rpm, 180 gram and on black wax. The single LP is retailed at $24.99 but can be purchased at Shop Radio Cast for only $19.99 when you pre order. The double LP is retailed at $44.99 and is available for pre order for only $34.99 at Shop Radio Cast. 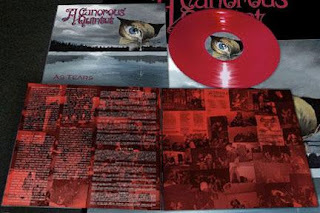 The complete discography from the melodic Swedish death metal act A CANOROUS QUINTET will be released for the time time on vinyl via The Crypt. Strictly limited to a one-time-only pressing of 500 hand-numbered copies, they come housed in a 350-gram, semi-gloss printed, gatefold jacket featuring the original 'As Tears' cover artwork, lyrics, new extensive liner notes by Linus Nirbrant and Mårten Hansen, and exclusive band photos. In addition the layout uses original elements just like the original MCD release, for complete attention to detail — even down to the typeface. In addition to the classic 1995 MCD, this LP features the 1993 'The Time Of Autumn Demo' taken from the original DAT recording. Included in all 500 copies is a luxurious 24" x 36" (60.96 cm x 91.44 cm) poster of the "As Tears" cover artwork. Additionally, 300 copies will be made available on 180-gram magenta vinyl. BLACK WIDOW — the groundbreaking occult progressive hard rock group which was allegedly "banned" by the BBC and besieged by religious nutters when it originally emerged in 1970 — returns to the Sabbat in 2011 with a brand new studio album, "Sleeping With Demons", released on October 31, distributed by Cargo Records. Madonna to Play Super Bowl Halftime? Over the better part of a decade, the people behind the Super Bowl have booked veteran artists who were flush with hits that could get the crowd up and rocking. The Rolling Stones, U2, Tom Petty & the Heartbreakers, Paul McCartney, Prince, Bruce Springsteen and the Who rocked for 12 minutes with, in general, medleys or shortened versions of their biggest songs. Then, last year, they decided to update things a bit with the Black Eyed Peas to generally scathing reviews. In 1961, Bob Dylan made his concert hall debut at New York's Carnegie Hall, earning $20 for the night. Of the 53 people that attended, most were friends. In 1963, Billboard magazine reported that hot-rodding songs are the latest teen fad, replacing surfing songs. Among the top tunes is The Beach Boys' "Little Deuce Coupe", which sits at #15 on the Billboard chart. Capitol Records starts supplying DJs and record retailers with a book of hot-rod terms. Also in 1963, the Beatles make their first appearance on the UK rock and roll TV show Ready Steady Go!, where they are interviewed by fellow performer, Dusty Springfield. In 1965, Johnny Cash was arrested for bringing 1,163 pills across the border from Mexico. In 1966, Bobby Hebb received a Gold record for his US #2 hit, "Sunny". It reached #12 on the UK chart. Hebb wrote the song after November 22, 1963, the day US President John F. Kennedy was assassinated and Hebb's older brother Harold was killed in a knife fight outside a Nashville nightclub. Hebb would later say "All my intentions were just to think of happier times, basically looking for a brighter day." In 1968, one of the original super groups, Cream, a trio consisting of Eric Clapton, Ginger Baker and Jack Bruce, set out on their farewell tour. Their hit single "White Room" was still climbing the charts, following the success of "Sunshine Of Your Love" earlier in the year. 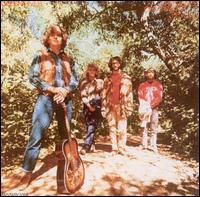 In 1969, Creedence Clearwater Revival started a four week run at the top of the US album chart with 'Green River,' the group's first number one LP. In 1969, the song "Suite: Judy Blue Eyes" was released by Crosby, Stills & Nash. Stephen Stills wrote this about his then-girlfriend, folk singer Judy Collins. In their 1991 boxed set, Stills said: "It started out as a long narrative poem about my relationship with Judy Collins. It poured out of me over many months and filled several notebooks. I had a hell of a time getting the music to fit. I was left with all these pieces of song and I said, 'Let's sing them together and call it a suite,' because they were all about the same thing and they led up to the same point." This runs 7:22. The single is three minutes shorter then the album version. This opened Crosby, Stills and Nash's set at Woodstock in 1969. The event ran long, so they didn't go on stage until 3am the third night (The Who set a precedent by going on at 3am the night before). They played 16 songs in their set, the first 9 acoustic and the last 7 electric. Those who left to get to work Monday morning not only missed Crosby, Stills and Nash, but didn't see Jimi Hendrix close out the festival. Nash Stephen Stills spoke to Rolling Stone magazine about this song: "It was the beginnings of three different songs that suddenly fell together as one. Actually on the demo the middle part is not exactly how they would play. Half of it is it just falls off in its own - but we actually split it in half, and they got started singing and boom, there it went. Once it all was there then we just kept adding parts. When I wrote it I used cardboard shirt-blocking, you know those things from the cleaner's - 'cause they were harder to lose than pieces of paper and they didn't crumple up. I could line them up on music stands and they'd stand up." Nash revealed to Rolling Stone that of the CS&N trio, Stills was the only to play on this song. All three contributed vocals. In 1969, the Beatles’ 'Abbey Road' album went to #1 on the U.K. chart. The final studio recordings from the group featured two George Harrison songs “Something” and “Here Comes the Sun” plus “Come Together,” “Sun King” and “Golden Slumbers.” The cover supposedly contained clues adding to the “Paul Is Dead” phenomenon: Paul is barefoot and the car number plate, LMW 281F, supposedly referred to the fact that McCartney would be 28 years old if he was still alive. LMW was said to stand for “Linda McCartney Weeps.” And the four Beatles, represent; the priest (John, dressed in white), the Undertaker (Ringo in a black suit), the Corpse (Paul, in a suit but barefoot), and the Gravedigger (George, in jeans and a denim work shirt). In 1970, just days after recording what would be her biggest hit, 27 year old Janis Joplin died of a heroin overdose at Hollywood's Landmark Hotel . 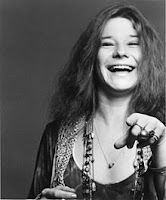 "Me and Bobby McGee" would reach number one in early 1971, her highest chart success since "Piece Of My Heart" with Big Brother and The Holding Company in 1968. In 1974, 'Walls And Bridges' was released by John Lennon. Recorded during his estrangement from Yoko Ono, it turned out to be the last record that Lennon recorded without input from her. 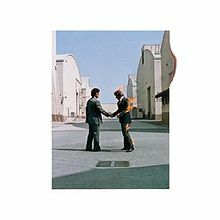 In 1975, Pink Floyd's 'Wish You Were Here' LP hits #1 in the US and the UK. The album features a tribute to former band member Syd Barrett, "Shine On You Crazy Diamond". In 1976, Elvis Presley attracted a crowd at a gas station in Memphis, Tennessee when he stopped to fill up his Harley. After chatting with fans for a few minutes, the King calmly drove away. In 1978, Tammy Wynette, the popular country music singer who cracked the Billboard Hot 100 in 1968 with "Stand By Your Man," was abducted, beaten and held in her car for two hours by a kidnapper wearing a ski mask. He held a gun on her and forced her to drive 90 miles from Nashville, Tennessee. She was later released and the kidnapper escaped. In 1980, winners in the Melody Maker’s readers poll included, Kate Bush who won Best female singer, Peter Gabriel won Best male singer, Best guitarist went to Ritchie Blackmore, Phil Collins won Best drummer, Genesis won Band of the year, Best single went to Pink Floyd for Another Brick in the Wall, and Saxon won brightest hope. In 1980, Carly Simon collapsed on stage in Pittsburgh from a case of nervous exhaustion. The remainder of the tour was cancelled. Also in In 1980, Queen had their second US number 1 song when "Another One Bites the Dust" hit the top of the Billboard chart. The group Squeeze broke up in 1982. In 1990, two separate lawsuits are combined on appeal against CBS Records and Ozzy Osbourne by the parents of 17 year old Harold Hamilton and 16 year old Michael Waller, both of whom are alleged to have committed suicide after listening to Osbourne's "Suicide Solution". The Supreme Court would refuse to reinstate the case. A California court had already dismissed a separate suit in 1988, ruling that suicide was not a foreseeable result of Osbourne's song. In 1991, J. Frank Wilson, who recorded the teenage death song "Last Kiss", died of a heart attack, a few months shy of his 50th birthday. Dream Theater released the album 'Awake' in 1994. Also in 1994, Danny Gatton, who was ranked 63rd on Rolling Stone magazine's 100 Greatest Guitarists of all Time in 2003, locked himself in his garage in Newburg, Maryland and shot himself with no explanation. He was 49. In 1996, Van Halen announced that Gary Cherone (Extreme) would be the group's new lead singer. Also in 1996, Roger Miller was elected to the Country Music Hall of Fame. In 1997, Boyz II Men went to #1 on the US singles chart with “4 Seasons Of Loneliness,” the group's fifth US #1 hit. In 2005, Michael Gibbins, drummer for Badfinger on their hits "Come And Get It", "Day After Day" and "No Matter What", died in his sleep at the age of 56. In 2007, the Rolling Stones set a new record for the top grossing tour of all time with their 'A Bigger Bang' tour. The tour which ran from late 2005 to August 2007, earned the band $437 million with the Stones playing to over 3.5 million people at 113 shows. The previous high was set by U2's Vertigo tour, which took place in 2005 and 2006, $389 million).